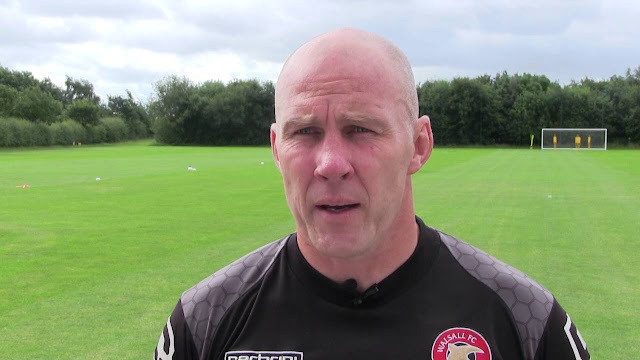 Walsall manager Jon Whitney has spoken to club journalists ahead of Sunday afternoon's season-ending League One clash with Milton Keynes Dons, and has urged his team to end the season with a bang. Speaking via the Saddlers.co.uk, Jon said; "Whoever wins finishes 12th so that’s our target for the players – we’d like a top-half finish. The other night wasn’t through a lack of effort, and we got done late on by a really good goal. We’ll still do all we can on Sunday and one for me to look at things and experiment. "We need to look at a few and see if they can do it in consecutive games because that might change my options moving forward. It’s always great to play in your last home game, there’s always a really good atmosphere and we’ll be looking to go out with a bang."